In 1975, at the height of Indira Gandhi’s “Emergency,” V. S. Naipaul returned to India, the country his ancestors had left one hundred years earlier. Out of that journey he produced this concise masterpiece: a vibrant, defiantly unsentimental portrait of a society traumatized by centuries of foreign conquest and immured in a mythic vision of its past. Drawing on novels, news reports, political memoirs, and his own encounters with ordinary Indians-from a supercilious prince to an engineer constructing housing for Bombay’s homeless-Naipaul captures a vast, mysterious, and agonized continent inaccessible to foreigners and barely visible to its own people. He sees both the burgeoning space program and the 5,000 volunteers chanting mantras to purify a defiled temple; the feudal village autocrat and the Naxalite revolutionaries who combined Maoist rhetoric with ritual murder. 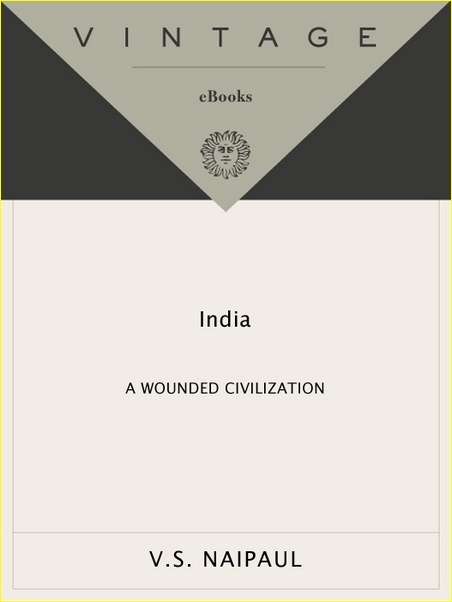 Relentless in its vision, thrilling in the keenness of its prose, India: A Wounded Civilization is a work of astonishing insight and candor.